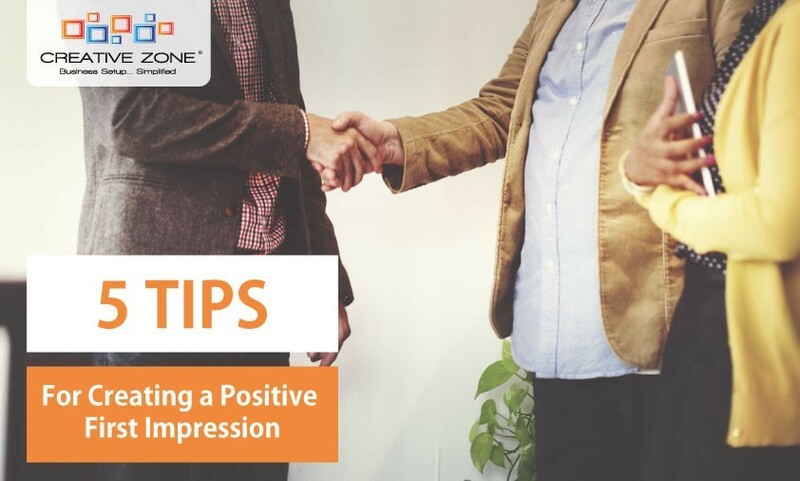 Here are 5 tips for always creating a positive first impression. There is traffic on our streets, there are parking issues, we must know about these and take them into consideration. There are sometimes one-off issues but we should anticipate these and arrive early. What is the downside? None. Being at a client’s 20 minutes early means you can get your laptop out, catch up with some work or do final preparation for the meeting. Many sales people say that if they are late they call ahead. Well, I really hope you do. But calling 5 minutes before the meeting is due to start just demonstrates that you are disorganised at best and not taking them seriously at worst. There will be very occasional times when you are late for a genuine reason – if this happens, let’s you customer know as far in advance of the meeting start time as is possible. CREATIVE ZONE houses a team of professional and well experienced company formation experts. Based in Dubai, we have helped over 5,000 companies in the UAE - Free Zone, DED and Offshore business setup. Ask our Business Setup Advisors about the best option for you. Schedule a consultation today.